"... as blunt, outspoken and burlesque as their whole later work." "... they continue their genre-defying ways, making use of every tool in their musical bag to near-lethal efficiency." 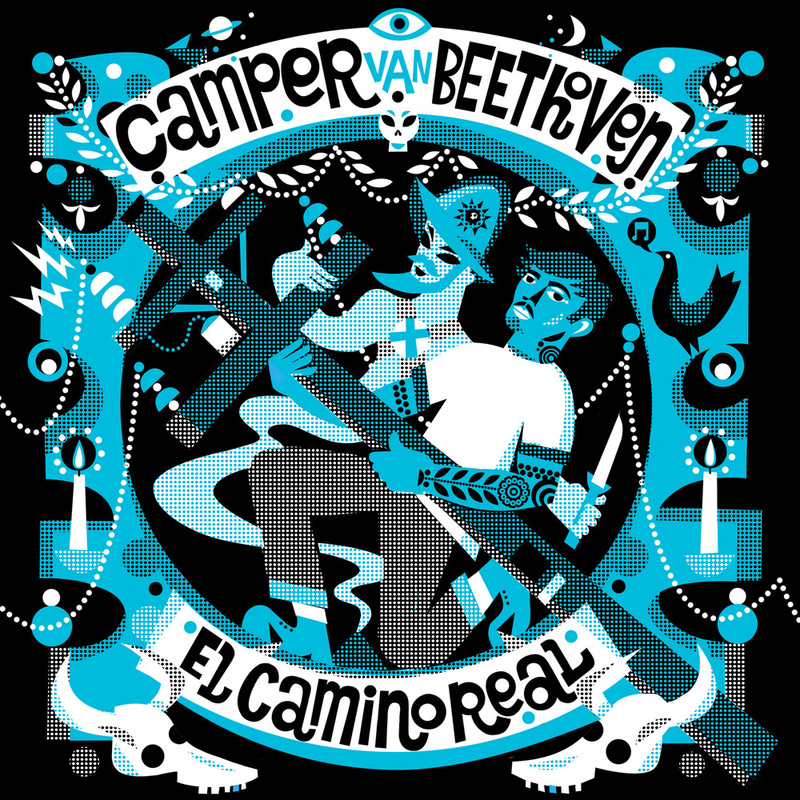 El Camino Real is Camper Van Beethoven's 2014 companion and sequel to the band's acclaimed 2013 album La Costa Perdida. Whereas La Costa Perdida reflected the northern Californian side of the band with lush and trippy references to Jack Kerouac, The Beach Boys and Big Sur, the songs on El Camino Real are firmly rooted in the southern half of the state that stretches all the way down to Baja California. Produced by the band and recorded in various studios and living rooms, El Camino Real's harder edges capture the sounds of an entirely different road trip. "The best way to look at the album is to draw a contrast between the two. On La Costa Perdida the ocean is calm, benevolent and feminine; on El Camino Real, the sea is filled with darkness, secrets and chemicals."